Boasts 20 Highway MPG and 16 City MPG! This Jeep Wrangler Unlimited boasts a Regular Unleaded V-6 3.6 L/220 engine powering this Automatic transmission. WHEELS: 18" X 7.5" POLISHED SATIN CARBON (STD), TRANSMISSION: 5-SPEED AUTOMATIC (W5A580) -inc: Hill Descent Control, Tip Start, SUPPLEMENTAL FRONT SEAT SIDE AIR BAGS. 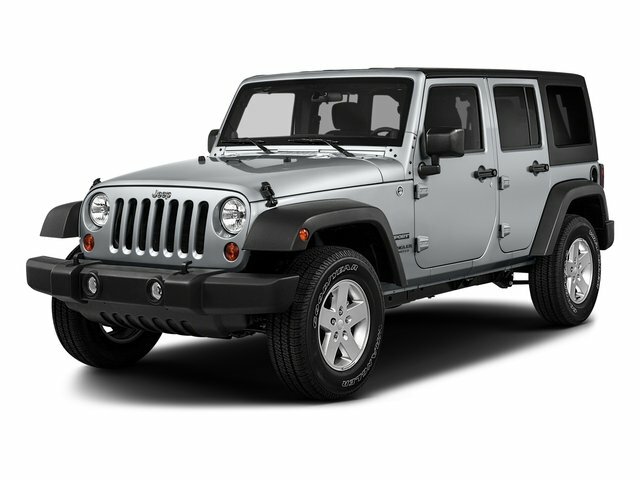 QUICK ORDER PACKAGE 24G -inc: Engine: 3.6L V6 24V VVT, Transmission: 5-Speed Automatic (W5A580) , REMOTE START SYSTEM, RADIO: UCONNECT 430N CD/DVD/MP3/HDD/NAV -inc: SIRIUSXM Travel Link (subscription required), 6.5" Touch Screen Display, GPS Navigation, 40GB Hard Drive w/28GB Available, Remote USB Port, PREMIUM BLACK SUNRIDER SOFT TOP, MANUFACTURER'S STATEMENT OF ORIGIN, ENGINE: 3.6L V6 24V VVT (STD), DUAL TOP GROUP -inc: Premium Black Sunrider Soft Top, Black 3-Piece Hard Top If ordering without AEM (Dual Top Group), the black soft top will not be included, Rear Window Defroster, Delete Sunrider Soft Top, Freedom Panel Storage Bag, Rear Window Wiper/Washer, CONNECTIVITY GROUP -inc: Vehicle Information Center, Tire Pressure Monitoring Display, CONNECTIVITY GROUP -inc: Uconnect Voice Command w/Bluetooth, Vehicle Information Center, Remote USB Port, Tire Pressure Monitoring Display, BLACK, CLOTH BUCKET SEATS -inc: adjustable head restraints.